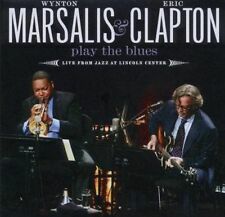 (SACD - Columbia/Legacy - CS 64935). Plays flawlessly. If you’re tired of buying over-compressed remasters and do prefer original pressings with great dynamic range. then you have found your new dealer of non-fatiguing music ! 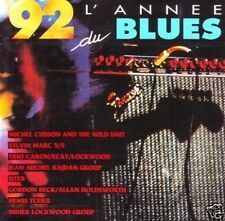 92 ANNEE DU BLUES compil 1992 (CD) Miles Davis, Caron..
Sylvin Marc "Half scale blues" 4'09. Alain Caron/J. M. Ecay/Didier Lockwood "Le blues des trois" 4'49. Henri Texier "Blues urbain" 6'02. Didier Lockwood "Elephant blues" 4'41. Didier Lockwood "Sam Buca's blues" 4'40. (2 x CD DVD - Columbia - 88697 47627 2). Shape : 2 CD DVD set in VG condition. 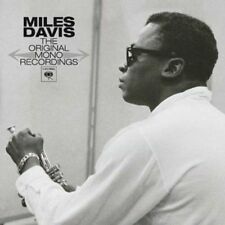 If you’re tired of buying over-compressed remasters and do prefer original pressings with great dynamic range. then you have found your new dealer of non-fatiguing music ! Offrir plus de titres. L'outil libre de liste. Format: SACD. Release Date (Date de sortie): 24 Oct 2007 (24 octobre 2007). "Kind Of Blues - Ascenseur Pour L'Echafaud - Somethin'Else [CD] Miles Davis"
Release Date (Date de sortie): 26 Oct 2018 (26 octobre 2018). Format: CD. Format: BLUE SPEC CD2. 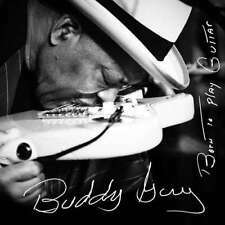 Release Date (Date de sortie): 11 Sep 2013 (11 septembre 2013). Blue in Green. Hier folgende 2 CD / Here following 2 CD. Shape : Rare 3 CD Long Box set in great condition. A few barely visible marks on discs. (3 x CD Long Box - Columbia - 517849 2 ). 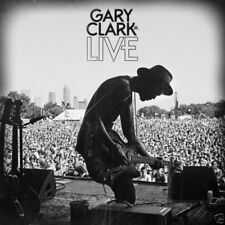 your collection or to listen to on your high-end system. Here you will find the CDs you were looking for to complete. ASCENSEUR VERSEZ L ' ÉCHAFAUD. Edition Deluxe Edition. IL Y A PLUS LES JEUX/DVD/BLU-RAY/CD. Sprache Französisch. Sprache Englisch. EAN 0600753818589. Edition Limited Edition. AVEC UN TOTAL DE 27 TITRES. Catalogue Number: CBS 460603 2. Format: CD album, reissue, remastered. Release Date (Date de sortie): 01 Apr 2014 (01 avril 2014). Format: CD. Release Date (Date de sortie): 07 Oct 2016 (07 octobre 2016). Format: CD. Miles Arrives - Beginnings. Blue in Green. Hier folgende 3 CD / Here following 3 CD Blue In Green. The Making Of A Masterpiece. Concierto de Aranjuez (Adagio). Love For Sale. The Impact. In den USA wäre der Umsatz in den nächsten fünfzig Jahren ganz oben die 4-Millionen-Marke, während sie im Vereinigten Königreich erhielt Gold-Status. 3 Blue in green 00:05:22. Hier folgende CD / Here following CD. Release Date (Date de sortie): 23 Feb 2018 (23 fevrier 2018). Format: CD. Format CD LONGPLAY. Release Date 19/10/2018. UPC Does not apply. La plupart de CD/DVD/Blu Ray sont scellés par le fabricant, cependant pas tous sont. MPN 19075881992. Blue In Green. Release Date (Date de sortie): 25 Mar 1997 (25 mars 1997). Format: CD. of Discs (Nombre de disques): 1. DISC (DISQUE) 1 Label: BLUE NOTE. DISC (DISQUE) 2 Chance It [Take 2] [Alternate Take][ ]. Donna [Take 1] [Single Version] [Alternate Take][ ]. Woody 'N You [Take 1] [Alternate Take][ ]. Kelo [Take 1] [Alternate Take][ ]. Genre: Jazz. Audio Engineer : Fred Plaut. Reissue Design : Randall Martin. Production Assistant : Rene Arsenault. Reissue Art Director : Cozbi Sanchez-Cabrera. Original Recording Producer : Irving Townsend. Main Personnel : John Coltrane. Main Personnel : Cannonball Adderley. Audio Engineer : Robert Waller. Audio Engineer : Fred Plaut. Sax (Alto) : Cannonball Adderley. Engineer : Fred Plaut. Drums : Jimmy Cobb. Titre: Kind Of Blue. Format: CD. Condition: Neuf. 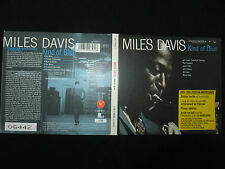 Titre: Kind Of Blue 2Cd. Format: CD. Condition: Neuf. Label: Proper Cds. Information manquante?. Titre: ASCENSEUR POUR L`ECHAFAUD / BLUE MOODS. Format: CD. Condition: Neuf.